This week we look at week one of the UEFA Europa League group stage, this week saw the start of the 2018/19 Europe League season which featured 4 British teams and many more from all around Europe. Thursday saw the beginning of the UEFA Europa League group stage with the early games kicking off at 17:55 BST and the later games kicking off at 20:00 BST. 4 British teams are in the UEFA Europa League this season and they are Chelsea, Arsenal, Celtic and Rangers, two English teams and 2 Scottish teams, no British teams lost last night with 3 of them winning and 1 drawing. Chelsea played away to PAOK with a 17:55 BST kick off which saw Chelsea win 1-0 in Greece at the Toumba Stadium, the only goal, which was scored by Chelsea, was scored in the 7th minute of the game by the Willian, Chelsea dominated the game in-terms of statistics with 22 shots (5 on target) compared to PAOK's 3 shots (1 on target). 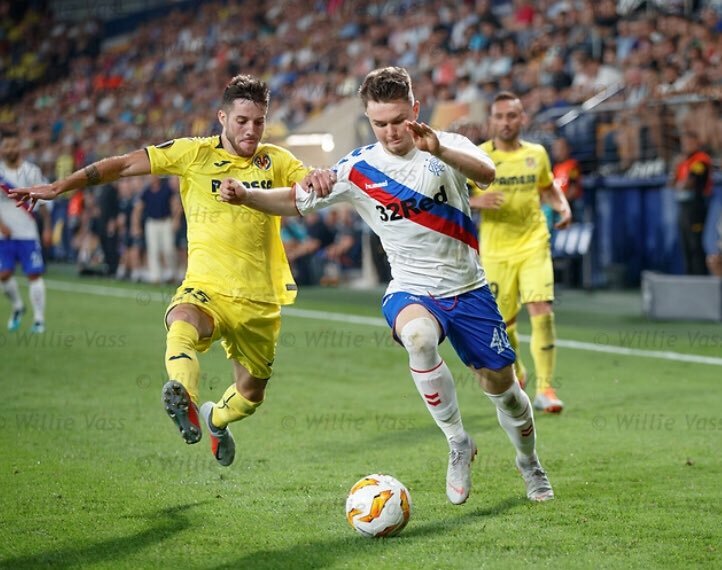 Else where, Rangers also had a 17:55 BST kick off which saw them take on Villarreal who finished 5th in the La Liga last season, Villarreal scored the first goal of the match in the 1st minute as Carlos Bacca fired into the net, Rangers later equalised in the 67th minute with a goal from Scott Arfield but it wasn't long before Villarreal took the lead again with a goal from Gerard Moreno in the 69th minute. The game ended with a 2-2 draw after Rangers got an equalizer as Kyle Lafferty scored in the 76th minute. Arsenal were at home to Vorskla with a 20:00 BST kick off which saw Arsenal win 4-2 at the Emirates Arena in London, Arsenal scored the first goal in the 32nd minute as Pierre-Emerick Aubameyang scored making it 1-0, another goal was then scored by Danny Wellbeck which made it 2-0 to Arsenal in the 48th minute. Arsenal scored again in the 56th minute with another goal from Pierre-Emerick Aubameyang which saw them lead 3-0 before Mesut Ozil scored in the 74th minute making it 4-0 to Arsenal, Vorskla attempted to fight back with Volodymyr Chesnakov scoring in the 76th minute making it 4-1 and then Vyachesla Sharpar scored in extra time making the final score 4-2 to Arsenal. Elsewhere, Celtic also had a 20:00 BST kick off which saw them face Rosenborg, who are the Norwegian champions, this game was played at Celtic Park in Glasgow which saw Celtic win 1-0 with a last minute winner, the goal was scored by Leigh Griffiths in the 87th minute, Celtic dominated for most of the game in-terms of statistics with 13 shots (7 on target) compared to Rosenborgs 4 shots (0 on target). Did you watch the Europa League? Who is your favourite team? Let us know in the comments below!